With the recent reports on workforce shortages in the construction industry, local General Contractor and Design/Builder PARIC Corporation has begun to develop a “pipeline” to give the next generation a jumpstart on transitioning from the classroom to the workplace. It’s no secret that traditional high schools have had to significantly cut vocational/technical programs or eliminate them altogether due to budget cuts or lack of interest by students. For many young people the idea of hard hats, dump trucks, and toolkits equates to low paying jobs with little or no room for advancement. Several local schools and city-funded apprenticeship programs are out to prove this stereotype couldn’t be further from the truth. 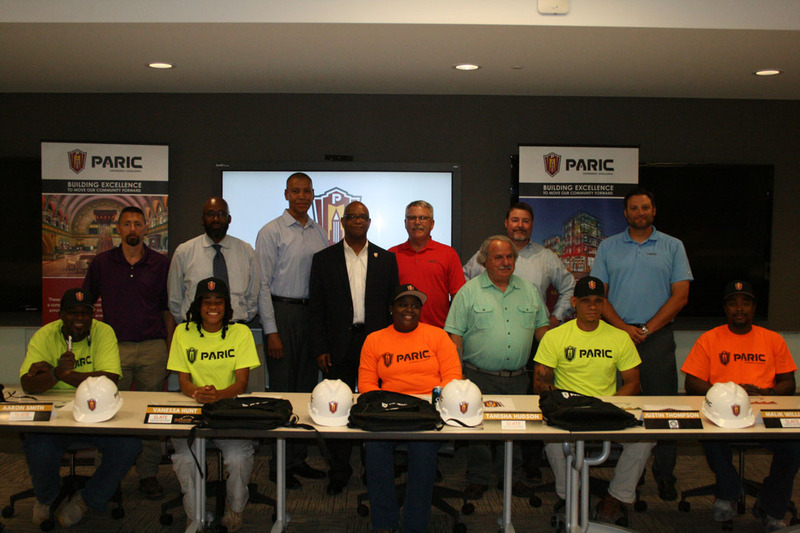 PARIC Corp. partners with the Building Union Diversity Apprenticeship program, commonly known as BUD. This program partners with local construction unions to help experienced or inexperienced minorities, women, and St. Louis residents gain the education they need to become a full-time tradesperson. The city of St. Louis requires workforce diversity goals for any projects receiving funds of $1 million dollars or more require the following commitments from builders (25% by minorities, 5% by women, 15% by apprentices, and 20% by city residents). PARIC understands the importance of these goals to the community and is partnering with programs like BUD and MOKAN which specifically target the issue of building a diverse workforce in the St. Louis area. The construction firm has also partnered with vocational schools like Ranken and South County Technical High School. South County Technical High School (SCTHS) provides students with Career and Technical Education (CTE) that prepares them for continuing education and the workforce. The school offers 25, tuition-free, CTE majors which allow students to explore their career interests while earning industry certifications, college and high school credit. Jeffrey Eye, Manager of Learning and Development for PARIC, has coordinated several informational and hands-on field trips for the students to active job sites throughout the year. PARIC wants to “build the pipeline”, Eye said. They have and will continue to support students in these construction programs through more than just donations. PARIC intends to provide access to employees for mentoring, speaker visits, job site visits and tours, and more. An example of this hands-on approach would be allowing students to tour the future home of Hotel Angad at 634 North Grand. This guided tour allowed students to speak with key members of the project team about how they got involved in the industry. Earlier in the year several students from SCTHS focused on HVAC got an exclusive look behind the scenes of the mechanical rooms and new ice plant at Enterprise Center. View the full article in the St. Louis American.